Brethren Woods appreciates the generous stewardship of each one of our donors. 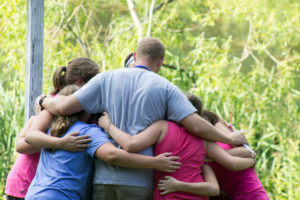 There are many fundraisers held throughout the year to maintain programming and facilities, but giving is appreciated year-round through special designated gift-giving, camper scholarships, memorial gifts, estate planning, congregational self-allocation, and individual or group gifts from Sunday schools, youth groups, etc. Brethren Woods maintains an on-going “Wish-List” of items that the camp could benefit from. Working at Brethren Woods for a summer is a transformational experience for staff, volunteers, and campers alike. There are many opportunities to join what God is doing here through volunteer and paid positions. We invite you to prayerfully consider how God might be calling you to join God’s mission at Brethren Woods. Summer staff are usually 18 years and older and committed Christians willing to serve God and care for children. This program is for 15-17 years old who are interested in learning leadership skills and serving at camp as Jr. Counselors, Support Staff, or Assistants in Crafts, Nature, Kitchen, or Maintenance. Jr. Staff are required to attend a training session scheduled for June 2-3, 2016, and serve two weeks during the summer. Interested youth should fill out the new or returning volunteer paperwork (see above) based on whether or not they have served as Jr. Staff before. We welcome volunteers any day and in any season! There is always some project to complete at camp–indoors or outdoors! Every fall and spring we welcome classes and classes of local elementary students for field trips! We need station leaders to help out! All of the lesson plans and materials are provided–it’s quick and easy to learn! Volunteers need to be willing to lead a 30 minute activity a couple times to different groups of students, along with teachers and chaperones. Most trips occur between 9:30am-Noon. Contact Katie and Tim Heishman at program@brethrenwoods.org to sign up to help! Brethren Woods thrives off of the commitment of our summer volunteers who commit to be Deans, counselors, kitchen assistants, health managers, maintenance, and activity assistants. Brethren Woods has benefited from the hard work of Girl Scouts and Boy Scouts who are working on their individual awards. We have all sorts of projects both indoors and outdoors that would make camp even better and help a scout accomplish one of their awards. Contact camp@brethrenwoods.org to get connected and start your project today!